Welcome to September 6 MLB DFS action. You’ll find Daily Fantasy Baseball Premium Cliff Notes for September 6 MLB DFS along with LIVE Premium Chat. Make sure you’re using the customizable projections tool, you’re actively participating in the live chat, and you’re reviewing the cliff notes to supplement your research and roster construction process. Very best of luck in tonight’s action! Stephen Strasburg (WSH) represents the top projected scorer at the starting pitcher position in this condensed slate. Strasburg doesn’t have an exciting context as he takes on a Cubs offense that’s ranked ninth in wRC+ and are striking out 21.3% of the time vs. RHP. With that being said, Strasburg leads all pitchers in this slate in individual K rate (28.2% this season) and that’s leading to a K projection of 7.1. If you’re playing cash games in this slate, we’re siding with an underpriced Strasburg as the anchor at the position. The next highest projected scorers at the position is Zack Greinke (ARI), with Shane Bieber (CLE) not far behind. Greinke carries the lowest IRTA (3.4) in this slate. The biggest challenge for Greinke will be racking up Ks in this matchup against a Braves offense that’s only striking out 20.5% of the time vs. RHP. It’s possible to use Greinke alongside Strasburg in cash games and tournaments on DK, but on FD we view him as a tournament only option since he’s overpriced. Bieber has been dominant against RHBs, surrendering just a .292 wOBA and .139 ISO. He has been way more susceptible to LHBs (.398 wOBA, .251 ISO, 51% hard rate according to fangraphs), but this matchup against the Blue Jays should play to his strengths as they’re only projecting to have three LHBs in the lineup. Bieber has the second highest K projection (5.9) in this slate and he’s $1,100 cheaper than Greinke on DK. He’s a viable pivot in all formats. Anibal Sanchez (ATL) and Luis Castillo (CIN) (on FD) are the last options that we’d seriously consider in this slate. Castillo in particular is attractive on FD. It’s a single SP site and he’s in Great American Ball Park, which should help lower his ownership. We love the K upside against a Padres offense that’s striking out a league high 25.8% of the time vs. RHP. Castillo has posted an impressive 13.9% SwStr rate this season. Sanchez has a matchup against a Diamondbacks offense that’s striking out 23.8% of the time vs. RHP this season. He has a decent price tag on DK. You could include Kyle Hendricks (CHC) in the MME mix on DK, but the upside isn’t great for him. Hendricks has a 4.6 K projection in this slate with a 4.4 IRTA. The way for Hendricks to generate an upside performance is to pitch deep into the game and limit runs. Tucker Barnhart (CIN) is featured in our optimal lineup on FD because spending up on Strasburg means concessions are necessary at other positions. Only 12 offensive players are projected as superior values to Barnhart because he is so drastically underpriced ($2,500) for a matchup against Eric Lauer in Great American Ballpark. Whereas Barnhart has only managed a .298 wOBA and 83 wRC+ against RHP, those numbers jump to .376 and 135 respectively against LHP. We are projecting him to hit second, and he if he does, this game environment is too favorable to overlook at his cost. On DK, where the Reds game is not being included, Russell Martin (TOR) is the cheap catcher who makes roster construction work, and his price point makes him our top value at the position. Although Shane Bieber has held righties to a .292 wOBA, they have still produced a 38.3-percent hard hit rate in the split, and there is not much else to choose from. Punt with Martin and move on in cash games. In tournaments, Willson Contreras (CHC) and Yan Gomes (CLE) are viable options but for different reasons. Contreras faces the top pitcher on the slate, so he is a bit of a leverage play, and Strasburg has yielded a 37.9-percent hard hit rate and 24.8-percent line drive rate to right-handed hitters (RHHs) this year. Gomes is not quite as talented but Gaviglio’s 4.22 FIP ranks second worst on the slate (behind only Lauer). Ideally, spending up for an Indians first baseman makes sense in cash games, and the only question is which one: Yonder Alonso (CLE) or Edwin Encarnacion (CLE)? The two pop in our DK projections with Encarnacion rating as the only positive value at the position (and Alonso being the only other guy near neutral). To this point, lefties have done the majority of the damage against Gaviglio: .356 wOBA, 1.47 HR/9 rate, 38.9-percent hard hit rate and a 5.04 FIP. However, Encarnacion will likely hit a spot higher in the lineup and our baselines have him pegged for a .360 wOBA and .249 ISO in the split. Fantasy owners likely cannot go wrong here but Encarnacion is slightly higher projected for us and gets the slight edge in terms of his per-dollar value as well. Paul Goldschmidt (ARI) and Justin Smoak (TOR) headline the next tier at the position, especially on FD, as both rate as solid values at different price points. Smoak is $900 cheaper than Goldschmidt and earns the platoon edge against Bieber. In fact, Bieber’s .398 wOBA allowed to left-handed hitters (LHHs) is the highest of any starting pitcher in any split on this slate. Targeting one of the Blue Jays’ top hitters in the most enticing split of the night for cheap is tough to pass. Goldschmidt is on the wrong side of his personal platoon splits but Sanchez has posted reverse-splits in his career (.324 wOBA allowed to RHHs, .305 wOBA allowed to LHHs). Sanchez misses right-handed bats at an average rate (22.4-percent K rate) and relies heavily on fly ball outs (41.8-percent). If he is unable to miss the barrel of Goldschmidt’s bat, the upside is unmistakable. Beyond that tier, Eric Hosmer (SD) and Kendrys Morales (TOR) are other hitters featuring at least some of tournament upside. Hosmer’s allure comes in the form of the huge positive park shift and Morales is yet another lefty against Bieber. These two are prime game theory targets in large field GPPs. Lourdes Gurriel (TOR) finds himself in the optimal lineups for both sites on Thursday and the reason is simple: he is cheap. On DK, the Blue Jays’ 4.3-run implied total is third highest on the slate and Gurriel should hit in the top two of the lineup. For what it is worth, Bieber is heavily reliant on fastballs to RHHs (54-percent), and Gurriel owns a .423 xwOBA against right-handed fastballs this year. Daniel Murphy (CHC) and Javier Baez (CHC) both rate favorably in our projections as well but they are tough to trust versus Strasburg. Since the beginning of last year, Strasburg has been one of the most dominant pitchers in the game against LHHs (3.26 FIP, 3.50 xFIP during that span). Consequently, Baez, who should garner slightly lower ownership, is the preferred play of the two (especially due to the substantial hard hit rate allowed to RHHs). Jason Kipnis (CLE) is really the only other player worthy of consideration at the position. Gaviglio has held opponents to a .288 wOBA at home but he has struck out opponents at a rate eight-percentage points higher. Over a larger sample, we expect that gap to shrink, and Gaviglio strikes out lefties at a rate of just 15.0-percent. Regardless of what park he is pitching in, the 15.0-percent K rate is subpar, and Kipnis has only struck out at a 17.5-percent rate against RHP. Quietly, Kipnis’ numbers have improved slightly in the second half (92 wRC+ versus 82 in the first half) and he has started to improve upon his power numbers too (.164 ISO versus .138). Jose Ramirez (CLE) is the cream of the crop at third base and there is no real competition. A majority of Gaviglio’s strikeouts come versus RHHs and Ramirez is one of the toughest hitters in the league to whiff. Furthermore, Gaviglio has been dealing with a forearm issue after being hit with a line drive and his start has been pushed back multiple times. If he is at less than 100-percent, this offense is potent enough to take full advantage, and Ramirez is a five-tool star. Hitting in the middle of the lineup for the team being implied to score the most runs, he is an absolute no-brainer. Eugenio Suarez (CIN) at home against a terrible lefty is a scary fade in his own right. All Suarez has done against lefties this year is crush them to the tune of a .464 wOBA, 194 wRC+, .322 ISO and 56.7-percent hard hit rate. Any more questions? Anthony Rendon (WSH), Kris Bryant (CHC) and Eduardo Escobar (ARI) are alternatives but not especially enticing ones. Rendon has the strongest case to be made against Hendricks and his 16.9-percent K rate against RHHs. No player on the Nationals has struck out at a lower rate versus RHP than Rendon so the expectation is for him to make contact in most of his at-bats (ABS)…the same of which cannot be said for Bryant against Strasburg. Escobar is the wild card here against Sanchez but there is not a ton of upside to left-handed bats to Sanchez. In 51.2 innings versus lefties this season, Sanchez has held them to a .274 wOBA, 17.8-percent line drive rate, 27.2-percent hard hit rate and a 31.1-percent fly ball rate. The only area he has struggled is in the control department but do you want to start Escobar for his walks potential? Probably not. Francisco Lindor (CLE) also blows away the competition at his position and yet he is still not featured in the FD optimal because of Strasburg. Finding a way to fit him is ideal against Gaviglio especially if Russell Martin ends up catching. According to FanGraphs’ rSB statistic, Martin has done an extremely poor job at limiting the running game (-3), so Lindor will likely be running if he gets on. He also is leading off for the highest projected offense by far which is typically a perfect cash game setup. Jose Peraza (CIN) is another player who rarely strikes out (6.1-percent K rate versus LHP) and he has hit over .300 in the split so far. Only Billy Hamilton has stolen more bases against lefties (11 versus Peraza’s 10) on the team this year and the Reds play in the superior hitting environment. Lauer has been susceptible to power, even playing half his games in Petco Park, and righties have slashed .293/.368/.462 against him with a .357 wOBA and 4.49 FIP. Peraza is the guy to roster if needing the salary relief. Trea Turner (WSH) is the only other positive value on FD and he has produced reverse-splits in his young career: .352 wOBA and 117 wRC+ against RHP versus a .322 wOBA and 97 wRC+ against LHP. Hendricks is not a gas can but at least he has allowed nine steals this year (tied for 24th most amongst starting pitchers). Turner is one of the few on the slate with the potential to both go deep and swipe a bag. Michael Brantley (CLE) and A.J. Pollock (ARI) are popping in our projections on FD and they rate as the top values on the site. Brantley is not quite as powerful as the other lefties mentioned but our baselines give him credit for a respectable .369 wOBA and .180 ISO in the split. If fading one of their high-priced bats in cash games, he is the logical fade because of all the alternatives at his position. Pollock is one of four Diamondbacks hitters sporting a .350-plus wOBA in the split against RHP and he, like Goldschmidt, is on the proper side of the splits versus Sanchez. Bryce Harper (WSH), Billy McKinney (TOR) and Steven Souza Jr. (ARI) are a tier below the top but are very much in play with the limited games to choose from. Harper is just ultra-expensive but he is one of the few elite hitters to pivot off of if fading an Indians hitter or two. Hendricks relies on fly ball outs to lefties and he pounds the strike zone (only 6.4-percent K rate). McKinney is another Blue Jays lefty in the platoon advantage versus Bieber and he very likely will lead off. Souza Jr. is not as talented as Pollock or Goldschmidt but he hits in the top half of the lineup and is a powerful hitter (.207 ISO according to our baselines). David Peralta (ARI) may be on the wrong side of Sanchez’s splits but he leads the Diamondbacks in wOBA against RHP. Melky Cabrera (CLE) will be the forgotten Indians hitter despite his career 103 wRC+ versus RHP. Adam Eaton (WSH) has some pinch hit risk but will lead off against Hendricks and is a prime candidate to swipe a bag (like the aforementioned Turner). 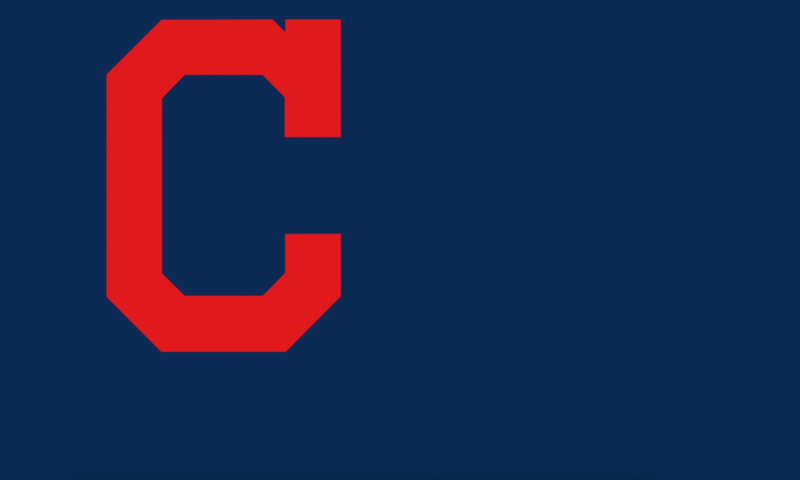 The Indians have by far the highest IRT (5.2) in this slate. They’re on the road in Rogers Centre, a favorable hitting environment, and get to face the worst starting pitcher in this slate (Sam Gaviglio; 5.02 ERA/4.57 FIP). They’re expensive but they stand out the most. You should aggressively pursue them in GPPs. Kyle Hendricks has posted the lowest K rate (19.9%) of his career this season and the Nationals’ home park is a sneaky environment that’s favorable for hitting. With Harper heating up of late, we think this is an exciting stack in GPPs that gets to play in mid to high 80s temperatures. Outside of the Reds, this tier has to deal with above average pitchers and one in particular (Strasburg) misses plenty of bats. The Reds are squarely in play on FD but removing them from DKs slate puts a bigger burden on the Indians stack. For that reason, we think the Cubs could end up a sneaky plus target in GPPs. They have plenty of contact bats that could give Harper fits and they get to hit in warm temperatures on the road. Washington’s bullpen is wretched now with Sean Doolittle and Kelvin Herrera both hitting the DL.